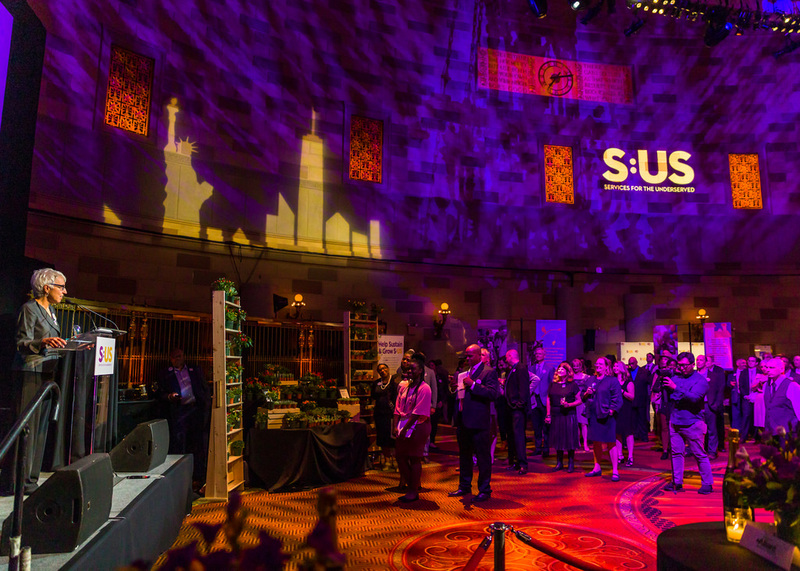 On Tuesday, October 9, 2018, Services for the UnderServed (S:US) celebrated four decades of commitment, innovation, and service to New Yorkers impacted by homelessness, poverty, and disability at our 40th Anniversary Celebration at Gotham Hall. Supporters, staff, and individuals we have served gathered to commemorate S:US’ history while paying tribute to the optimism, resilience, and grit of New York City, which has been home to S:US since its founding. 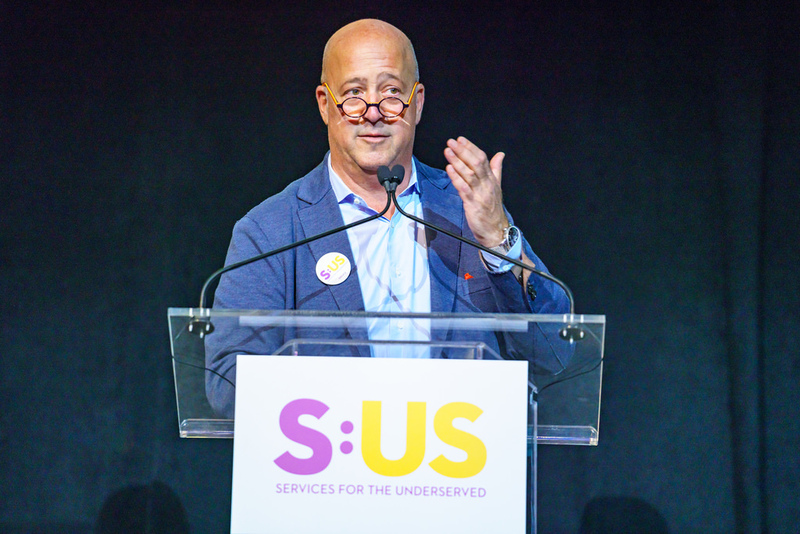 The event honored TV personality, chef, and S:US Board member Andrew Zimmern with the Leadership for a Better New York Award. 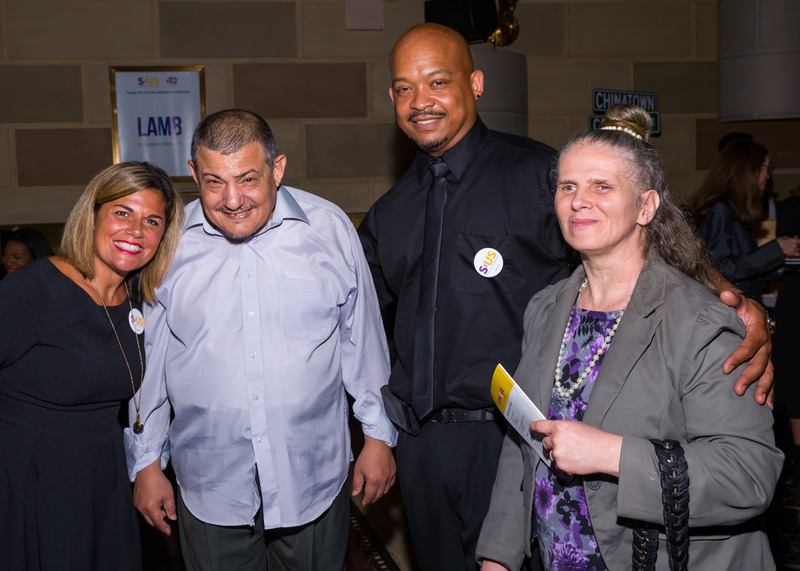 Zimmern, who has been outspoken about his past experiences with homelessness and addiction, was honored for his leadership in raising awareness, combatting stigma, and increasing opportunities and the quality of life for people experiencing homelessness, poverty, mental illness, and disability. 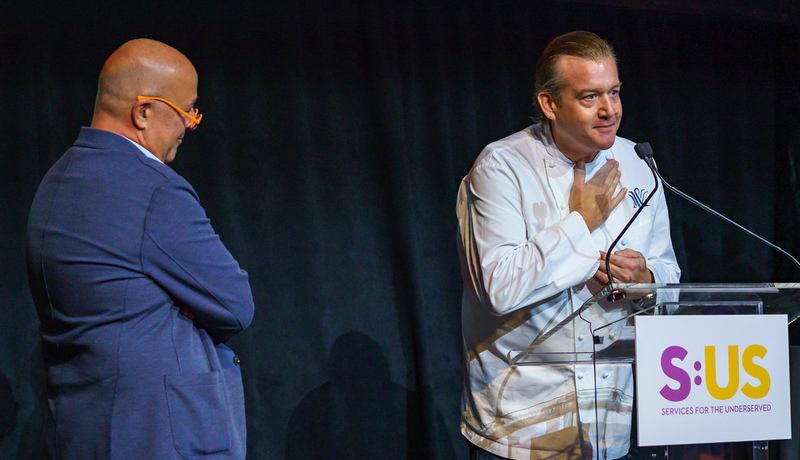 World-renowned chef Michael White presented Zimmern with the award. Every year S:US serves 35,000 New Yorkers with innovative solutions that, over the last four decades, have consistently grown and adapted in response to changing social needs and evolving best-practices. 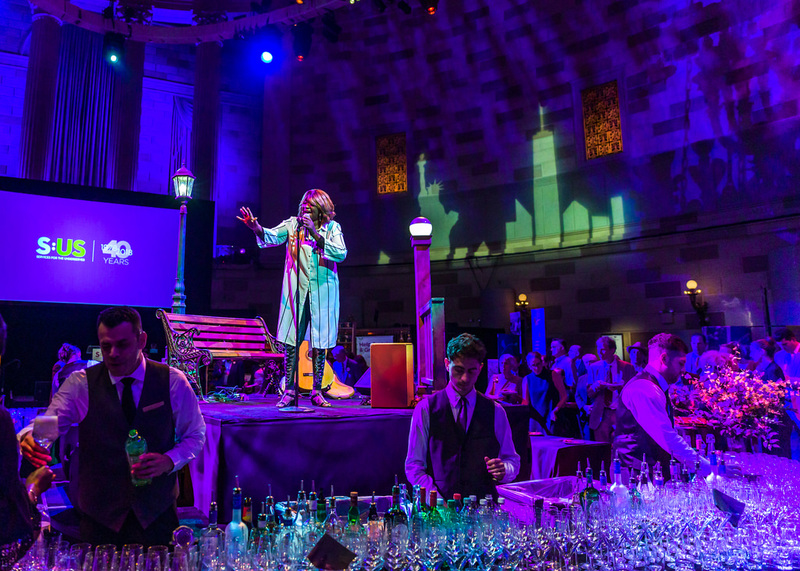 Guests enjoyed live performances by subway soul singer Alice Tan Ridley and world jazz trio Inti and the Moon, as well as New York City-style food stations, and more. 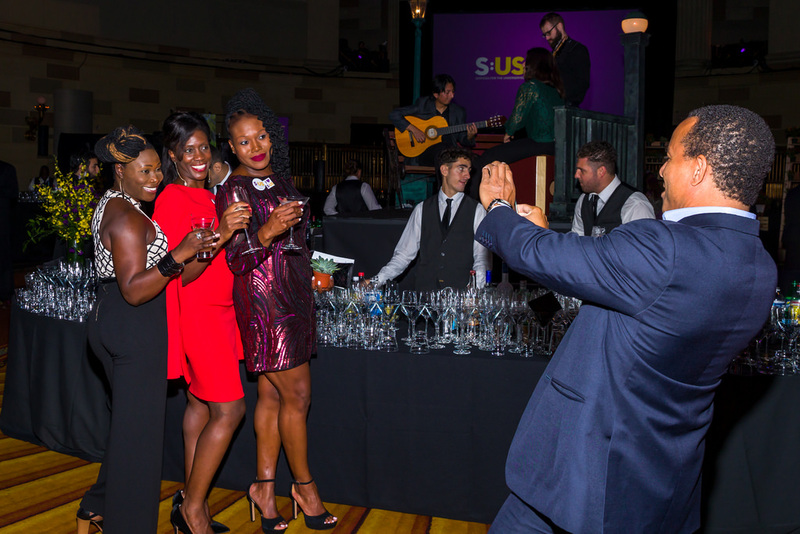 With over 300 attendees, the event raised $220,000 to bring life-changing support to New Yorkers in need of housing, treatment, employment, and other vital services. Donate to celebrate S:US’ 40th Anniversary. Enjoy the stories, personal notes, ads from our events sponsors, and so much more in our 40th Anniversary Celebration Journal.